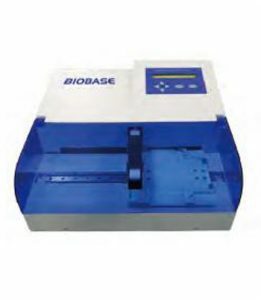 Detail Produk "Automatical microplate washer (BIOBASE-MW9621)"
Automatic Elisa washer,Biobase-MW9621, can be adapted to the 96- and 48-well Microplates. 1. 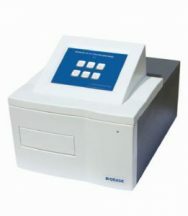 It can be adapted to the 96- and 48-well Microplates. 2. Regulates rinse position of cleaning head according to user requirements. 3. 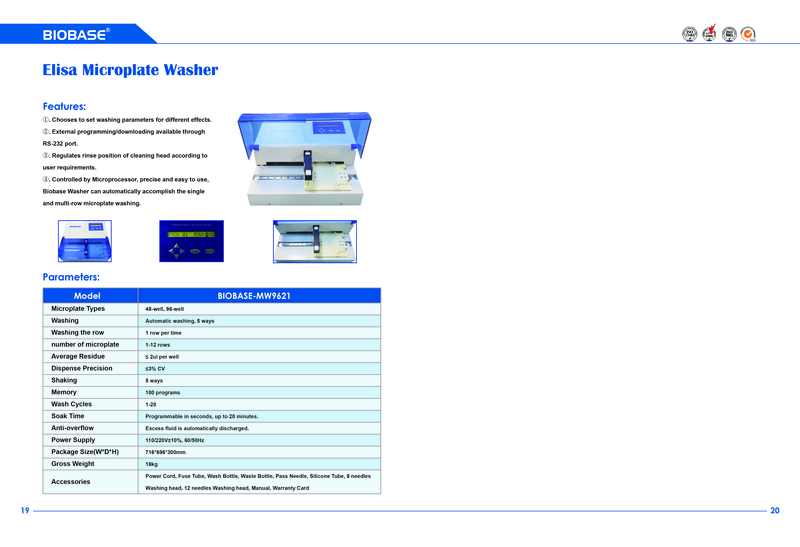 Chooses to set washing parameters for different effects. 4. 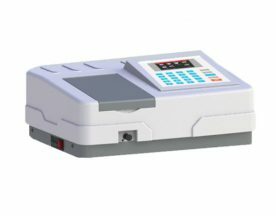 External programming/downloading available through RS-232 ports. Soak Time Programmable in seconds, up to 20 minutes. Anti-overflow Excess fluid is automatically discharged.